New Tiffany Wing at the Morse Museum! The Morse Museum’s new galleries feature the recently restored Daffodil Terrace and 250 art and architectural objects from Louis Comfort Tiffany’s Long Island estate, Laurelton Hall. This new gallery is huge and features all sorts of information about this estate and how it came to be. There is everything from architectural drawings, to a menu from a dinner party. All of it is fascinating! The new wing also has a room dedicated to the history of Tiffany, their lives and how the company evolved. It is well worth dedicating an entire afternoon to! And don’t miss the museum shop, a place where you can buy that special momento. 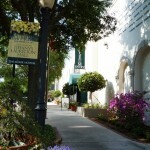 And the best part about the Charles Homer Morse Museum in Winter Park Florida is that it is about a 5 minute drive from Thurston House, our Maitland bed & breakfast. 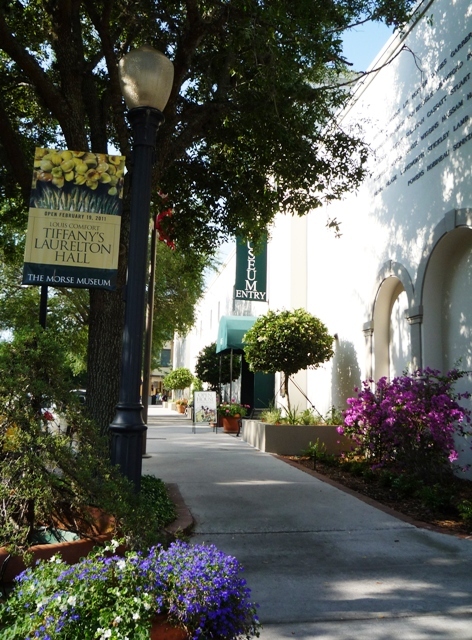 And it is only one of several reknowned Central Florida Museums.